* Correction of rated torque and max. torque due to load fluctuation is not required.However, if ambient temperature exceeds 30°C, be sure to correct the rated torque and max. 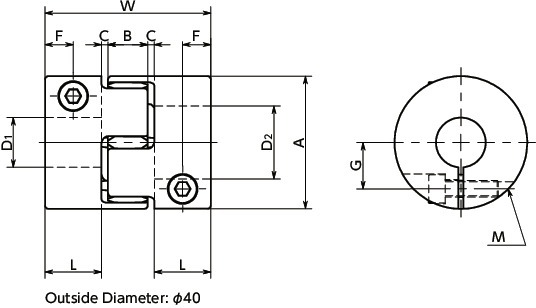 torque with temperature correction factor shown in the table.MJC's allowable operating temperature is -20°C to 60°C. ** These are values with max. 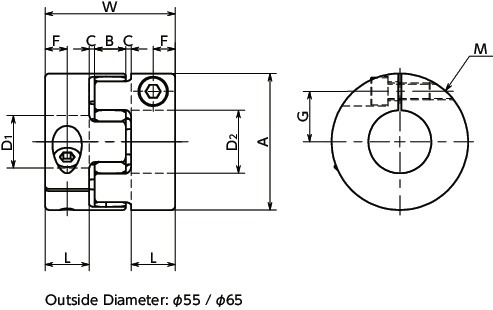 bore diameter. *** For transmission of backlash0Zero, please use a tight fit sleeve.